The worlds most – watched league, the English Premier League is back this weekend! 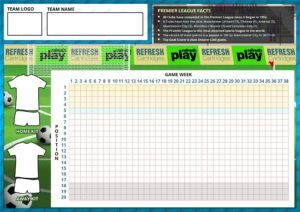 Following the success of our World Cup downloadable charts we have decided to celebrate the launch of the 2018/19 season with a downloadable premier league tracker! 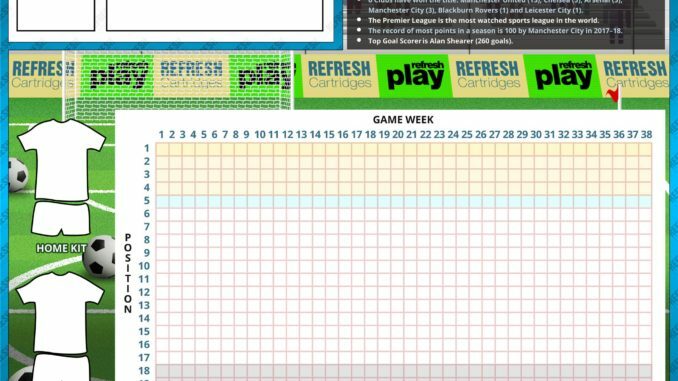 simply print, add your team name and colour in the shirts, then track your team’s league position each week by colouring in the square on the chart! It couldn’t be simpler. We’ve also decided to open up our staff annual fantasy football league for you all to enter! So please enter here: https://fantasy.premierleague.com and use the league code 2674556-611189 so now you can play against our team! Good Luck!